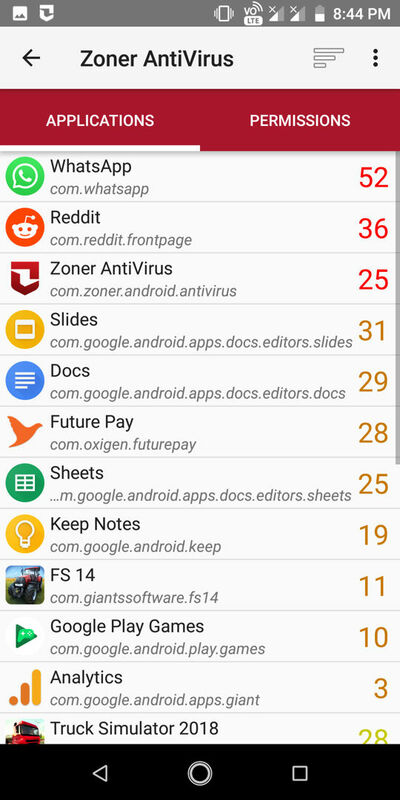 Zoner is one of the smallest antivirus apps I’ve come across. Its size is just 1 megabyte. 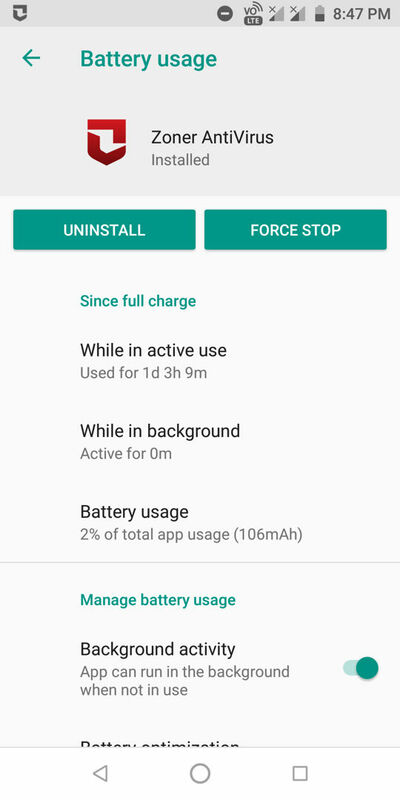 When I found Zoner on the Play Store, I had a strong feeling that the app might include a lot of in-app purchases. 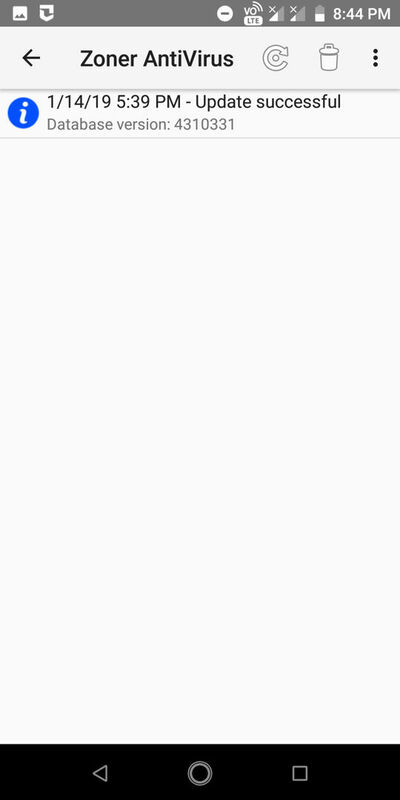 I also thought that its 1MB size was kept purposefully to attract downloads. Well, I was wrong. The features displayed in the screenshot of the app on its official listing page are unlocked. 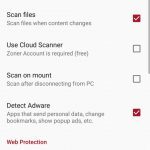 Is Zoner as powerful as premium Antivirus apps? Is the app user-friendly? How is its performance? Let’s find it out! Status: Zoner will scan your smartphone to find out whether it is vulnerable to viruses and remote attacks or not. Antivirus: This interface enables you to scan a specific folder and update the virus definitions. It also lets you scan a MicroSD card and schedule scans. Secure messages: With this interface, users can share text messages with other users securely. While creating this message, you’ll be asked to enter a private key and message content. Once users enter these two details, they must tap the send icon and choose the user/app from the list. The recipient will see an URL instead of a message. To read the message, the recipient must install Zoner antivirus on his/her mobile and enter the decryption key. Filters: Like many other security apps, Zoner lets users blacklist or whitelist phone numbers. 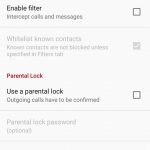 If your kid plays games on your phone, you can set up a parental lock for outgoing calls. 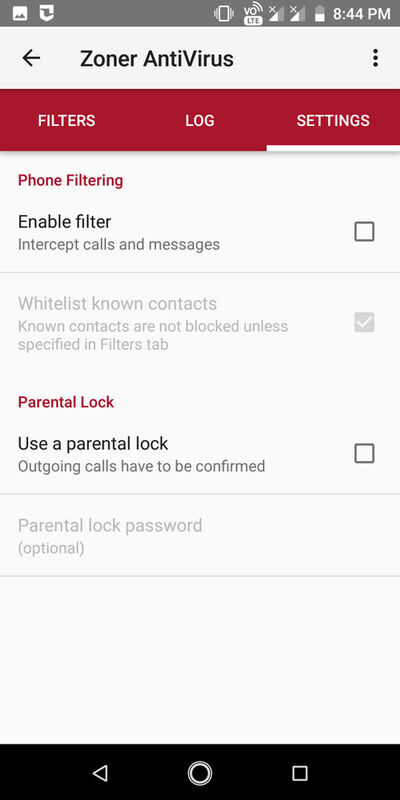 When this feature is active, only the person who knows the parental pin code will be able to make outgoing calls. The details of the rejected calls appear in the Log section of the filters interface. Get the last 10 calls made with your phone. Zoner provides an option to set an emergency phone number. When someone changes the SIM card in your device, Zoner will send a text message to a phone number you specify and the emergency number. 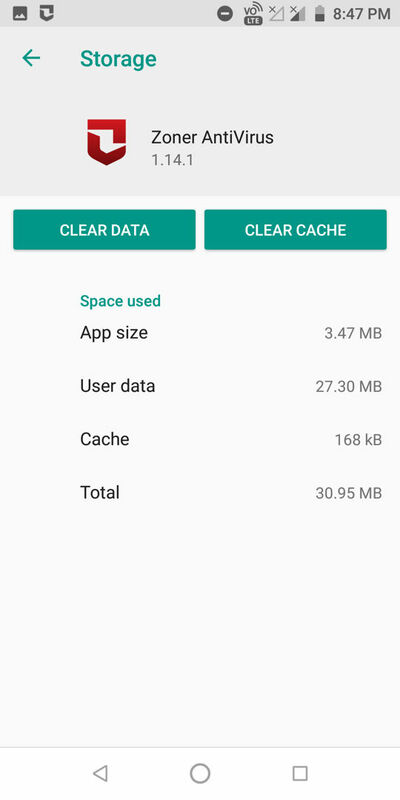 Apps and Permissions: Want to know which apps require the most number of permissions to run? Open this interface of Zoner. 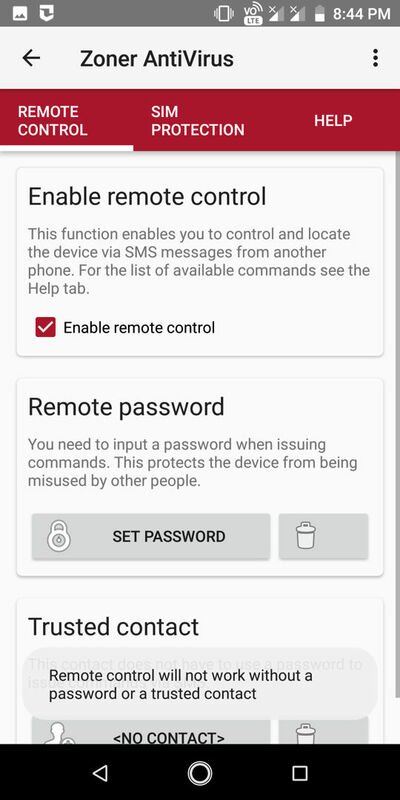 The application displays a list of apps and the number of permissions they require. It lets you filter the apps by their name, risk level, permission count, package name, prefix, etc. Scan apps immediately after their installation. Scan files when its content changes. Use Zoner’s cloud scanning service. 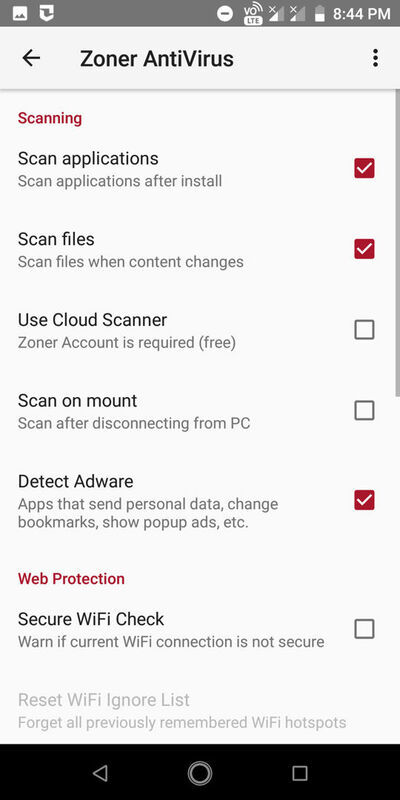 Scan when the phone gets disconnected by the PC. 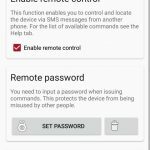 Make users aware of insecure WiFi networks. Change update frequency (Never to Once a week). Switch layout to adapt the screen size. Send recognized threats to the virus laboratory. 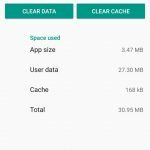 I tested Zoner on my phone (3GB RAM, Snapdragon 636 SoC). 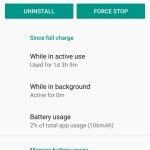 The app didn’t crash or drained the battery to a great extent when it was scanning files on my device. Instead of subjecting my phone to viruses, I checked AV Test’s list of top antivirus apps of November 2018. Zoner was nowhere in the top 10 list. 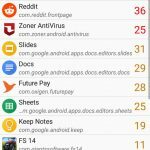 Conclusion: Although Zoner is a small application, it offers many features which you won’t find in free Android antivirus apps. 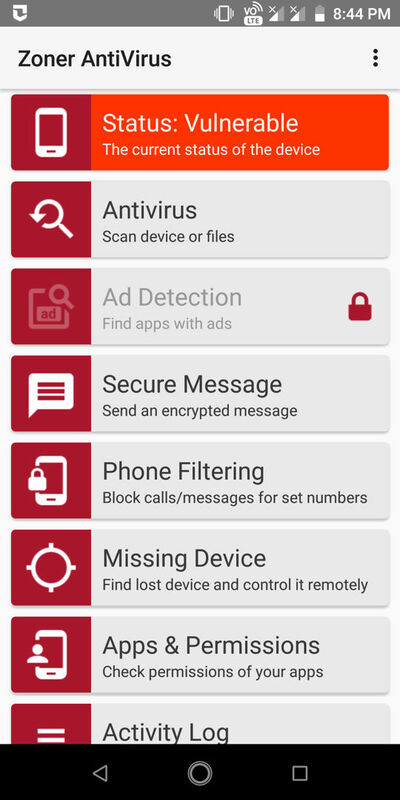 Zoner is a feature-rich antivirus app. It is lightweight and intuitive.